Mathematically defined random chance requires that every possible alternative sampling or assignment outcome has an equal or known probability of occurring. This is very different than haphazard chance for the outcomes of which there are no such statistical expectations. Because random chance cannot be sufficiently ensured for social science research purposes is logically arguable, what is actually relied upon must be haphazard chance. 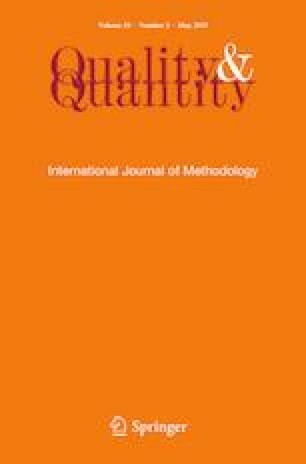 This needs to be made clear for several key aspects of social science research methodology: generalizing from samples, making treatment contrasts unbiased by unmeasured on subject dimensions, meta-analysis, interpreting comparative experiments’ residual outcome variance and so their statistical significance testing, the meaning of psychological measurement unreliability and of latent variables, and the imputation of missing data. The author is now a Ph.D. independent scholar and an emeritus fellow of AAAS, APA, and APS.